Transitioning not only applies to your hair journey but also the products you use. It is debatable whether or not it is an absolute necessity to use only natural hair products for natural hair, however, certain ingredients have proven to benefit textured hair that are not contained in many non-natural commercial products. As your new hair grows in it will require a new regimen that addresses its needs. You will find that as the transition approaches completion, it is possible that you will switch products yet again. Paying attention to your strands and how they respond to certain ingredients will be essential to a successful process. Jumping into any commitment without doing your due diligence puts you directly in the path of failure. Researching the logistics of natural hair care will save you a lot of heartache and assist in the overall management. There are countless websites, blogs (uh-emmm *clears throat), and You Tube channels dedicated to the topic. Relaxed hair and natural hair have different demands so it stands to reason that some of the tools used to manage those needs will be different. If deep conditioning was not part of your relaxed hair regimen, it needs to be an integral part now. 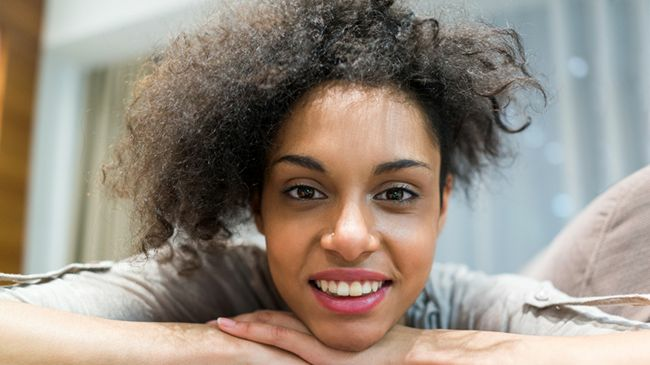 Since natural hair is inherently dry, extra care to infuse moisture is important and including deep conditioning in your new regimen is one way to achieve this. During my transition I didn’t appreciate the versatility that came with it and I forgot to have fun with it by trying new looks. When I wasn’t flat ironing the hell out of it, I was doing wash and goes and that’s it. A few times I flirted with the finger coil method but for the most part I only entertained wash and go’s…boring. Looking back on your journey what do you feel you could have done differently that may help another chica going through the transitioning process now? This article was written by Tammy Goodson of CurlyChic and published on CurlyNikki.